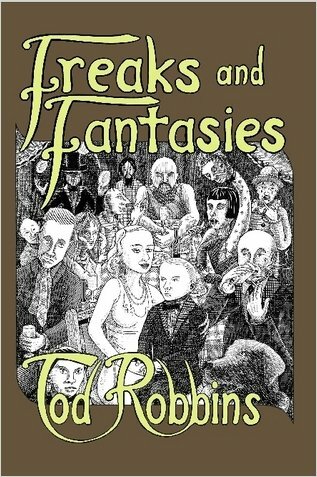 Chris Mikul, the brains behind Bizarrism, the magazine of supreme weirdness, has collected 14 rare stories by Tod Robbins, including 'Spurs' the story upon which Tod Browning's FREAKS film was based. These stories, long out of print, represent carny carnage and bloody mayhem in a jugular vein. The introduction by Mikul lays the foundation for one of the most audacious short story collections of the year. Just check out Gavin L. O'Keefe's cover and drool. Your library NEEDS this book. 274 pages of pure depravity as only the two odd Tods could produce. $33 Hardcover with dust jacket 6" x 9"
THE PERSONAL TOUCH E-mail fender@ramblehouse.com and give me your complete mailing address. If my painkillers have kicked in I'll probably give you a discount. Free shipping to US. I take PayPal or a check.